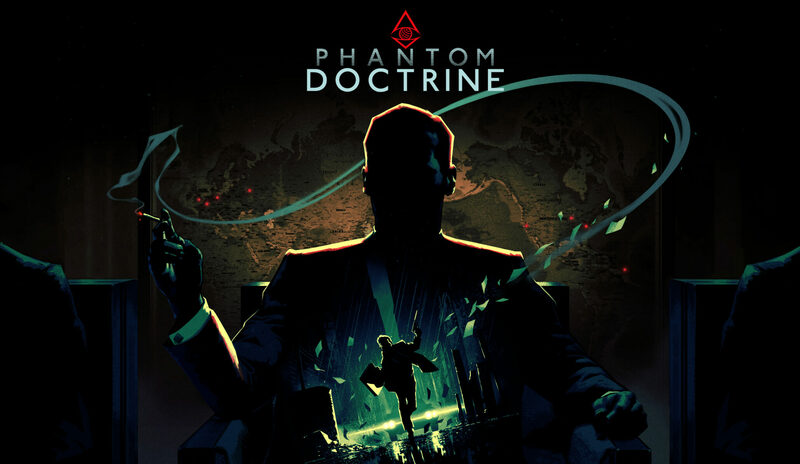 Good Shepherd Entertainment and CreativeForge Games have shared a new Phantom Doctrine story trailer for E3 2018. The turn-based tactical espionage game will be available later this year on PC, PlayStation 4 and Xbox One. If you’re interested in getting Phantom Doctrine for the PC, the Steam page already lists some of the minimum requirements. Set in 1983 during the Cold War, Phantom Doctrine is an alternate history thriller in which players lead The Cabal, a secret organization dedicated to fighting a global conspiracy committed to controlling the world by pitting world leaders and nations against one another. Throughout secret missions, classified files investigations and enemy agent interrogations, peel off layers upon layers of a sinister plot and save the world from a somber future. If you can. – A rich alternate history plot anchored by historical events and characters, bringing the chillingly relevant Cold War reality to life from a unique point of view. – Expanded battlefield: position assets around the world and call for assistance in the middle of battle when you need it most. Just remember, the enemy can bring their own reinforcements, heavy weapons or even air support and their toy box is much bigger than yours. – Knowing is half the battle: scout mission locations ahead of time, infiltrate with undercover operatives and improve your odds. Elite enemy agents with their own agenda are always ready to spring their own ambushes. – Go loud or go home (stealthily): fully-fledged stealth gameplay with silenced weapons, silent takedowns and cutting-edge Cold War era security technology. All this makes completing entire operations clandestinely a viable option. – Run your own counterintelligence organization: recruit subjects of top secret government experiments, operatives of the world’s secret services, KGB & CIA included, or even criminals. Manage a global operation, securing weapons, resources and contacts. Command from a distance or go hands-on to fight for the real stakes. – Actively pursue the truth: research cases, locations and individuals in Investigation Board gameplay mechanics to uncover new missions, resources and technologies. – Employ technology ruthlessly to your advantage: learn from the enemy or research your own methods for brainwashing, interrogation, body engineering and chemical enhancement. – Customize your operatives and then do it again once they need a new identity: forge documents, change appearance, retrain them for lethal effect and send them back into the fray. – Replayable, modular campaign with an array of mechanics to ensure unique and markedly different playthroughs: generated character names and backgrounds, modular and algorithmically populated maps, randomized intelligence snippets. – A highly replayable, story-driven campaign with meticulously designed and adaptable maps. – Two stories to choose from: a KGB counterintelligence operative or a CIA wet work commando who have to come to grips with the truth and challenge the conspiracy, with an additional New Game Plus protagonist. – No mission too big, no mission too small: enter a bustling government facility undercover to assassinate a target with surgical precision or mount a heavy frontal assault on an enemy staging base. With optional objectives closely linked to a mission’s complexity and opportunities like loot and intelligence to collect, there are decisions to be made at each step.